The FSU Annual Meeting will be held (room to be determined). We will be giving reports, receiving your feedback, listening to your areas of concern, and approving the final budget at this meeting. 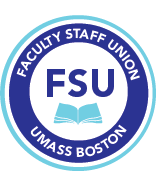 New business items need to be submitted by 4 pm, April 18 to fsu@umb.edu to be considered per new FSU policies here.